Do you remember what Mr. Meimarakis said, as the speaker of the Hellenic Parliament, on the 10th of October 2012 welcoming Turkey’s Minister of Foreign Affairs, Mr. Ahmet Davutoglu? What was this supposed to mean? Which boat cannot float freely in the Aegean Sea? And why should float it free? Doesn’t it have to respect the international law rules? Doesn’t it have to respect the sovereign rights in the Aegean Sea? 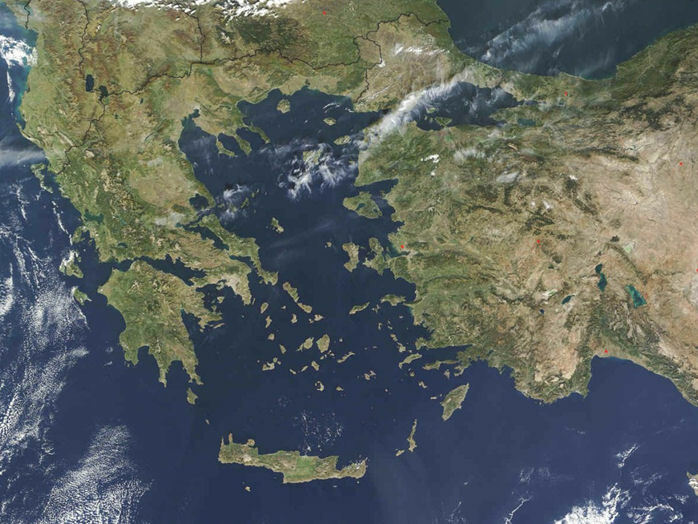 What exactly is the problem in the Aegean Sea? Is it about free sailing or a Turkey’s direct threat against Greece? For Mr. Meimarakis and the interests he serves it’s quite simple: instead of defending the sovereign rights, more important to him seems to be the opening of the Aegean Sea to everyone. Free sail the Aegean Sea means sea without any sovereign rights. That statement alone would be enough in other times to cause a scandal but in the times of general sell-off, all this is considered as to be absolutely normal. Mr. Davutoglu got the message right away and replied to Mr. Meimarakis “We want the Aegean Sea, to be a sea of ​​peace and friendship, to be open to any kind of cooperation”. He made himself quite clear. Aegen Sea has to be open to any kind of cooperation; that is an open sea without any sovereign rights at all, any international law rules or rights deriving from it, so that any kind of operation is accepted. The thing is that not all kind of cooperation is permitted. Permitted is only cooperation that respects the existing sovereign rights and the rules of the international law. Otherwise what we have is cooperation not among well-governed nations but among gangs. In this case gangs are represented by Meimarakis on one side and by Davutoglu on the other.